We've been talking about it for a while, and I have been steadily working towards making these kits complete and available. I already had all the separate pieces, but putting the pieces together in a kit that really fits and works has been several months in the making. Here are some pics I took tonight, the turbo obviously isn't completely bolted up and no hoses are hooked up, but the wastegate is installed and the manifold is on the engine, dp is hooked up and everything fits pretty nice! My goal is to sell a kit that will not requiring you to spend an extra month ordering parts to make it all fit your car. These pics are obviously a Supra, but Cressida seems to have more clearance just about everywhere, so fitment should be good. I can take measurements if anyone is interested. 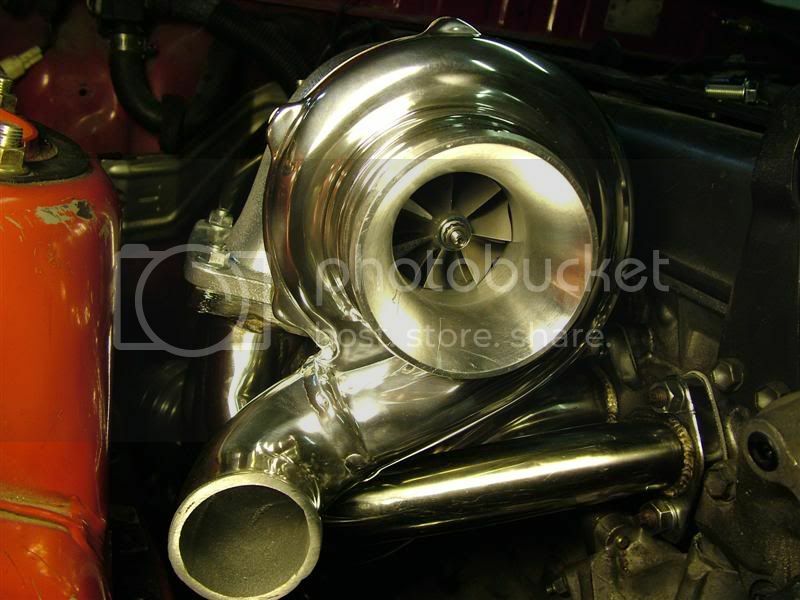 *Driftmotion 60-1 turbo withh 90deg elbow welded on and then the compressor housing is highly polished. The billet backplate will probably not be anodized because of too many issues getting them done in a reasonable amount of time, but it looks nice as it is. 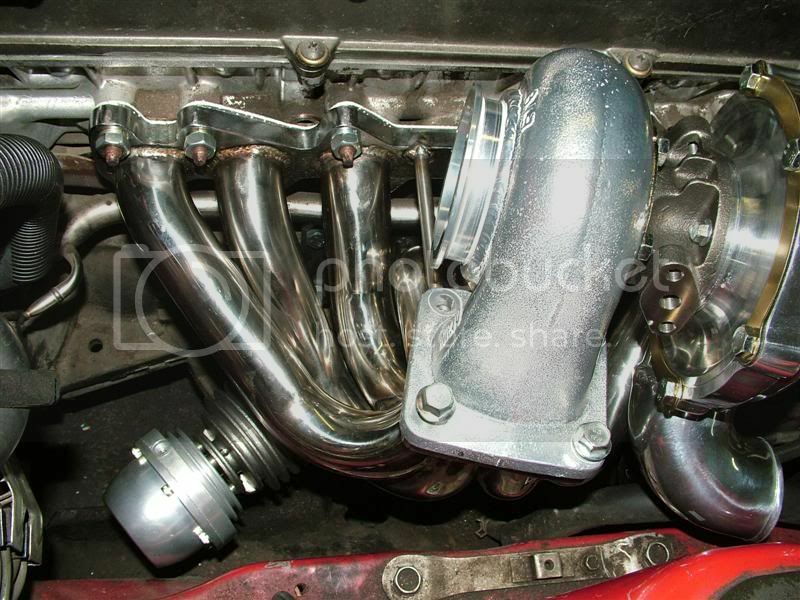 The exhaust housing is a devided T4 withh .70 AR. 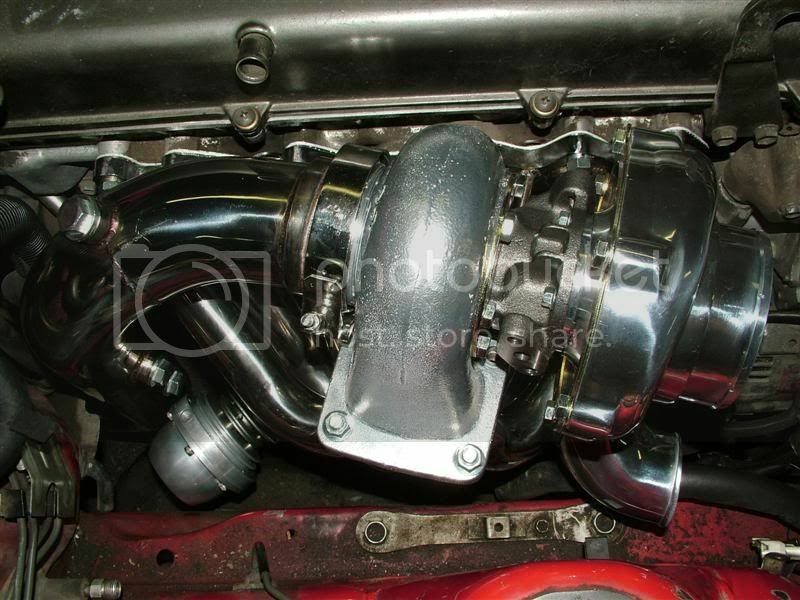 It will spool fast and have good power potential, 500whp will be no problem for this setup. 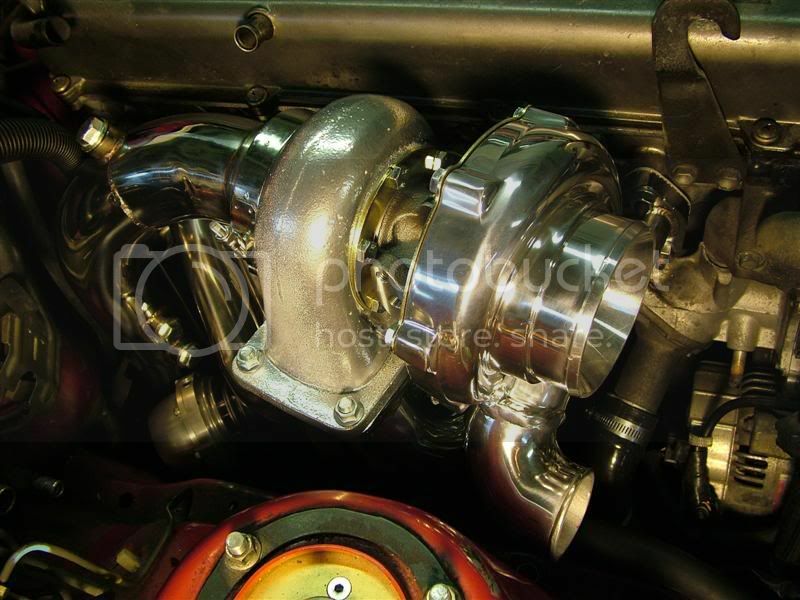 The turbo uses real Garrett internals, 360 thrust bearing, 4" inlet and 3" v-band outlet. *Complete oil line kit withh ARZ flanges for turbo and block. Gaskets for turbo inlet and outlet are included. 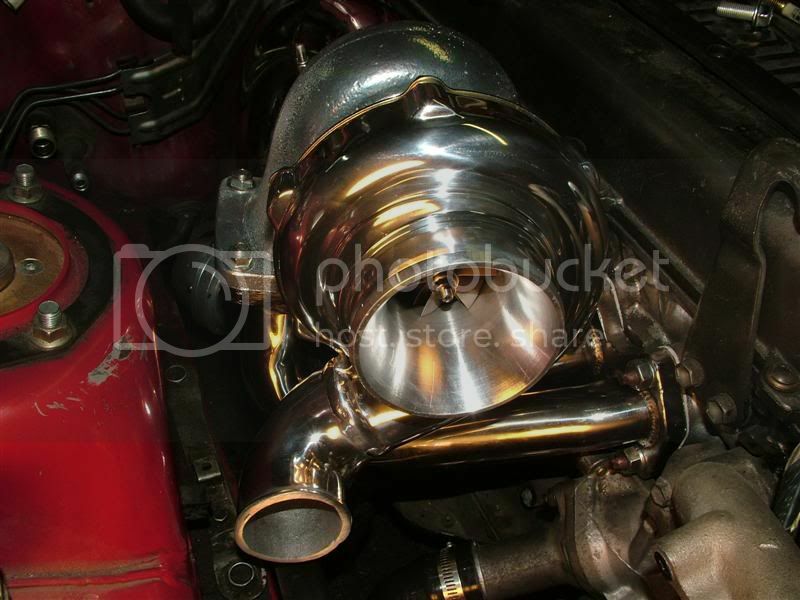 *46mm Tial copy wastegate withh dump tube that fits the car, no welding required to manifold or dump tube! Wastegate works withh the Tial 46mm springs. 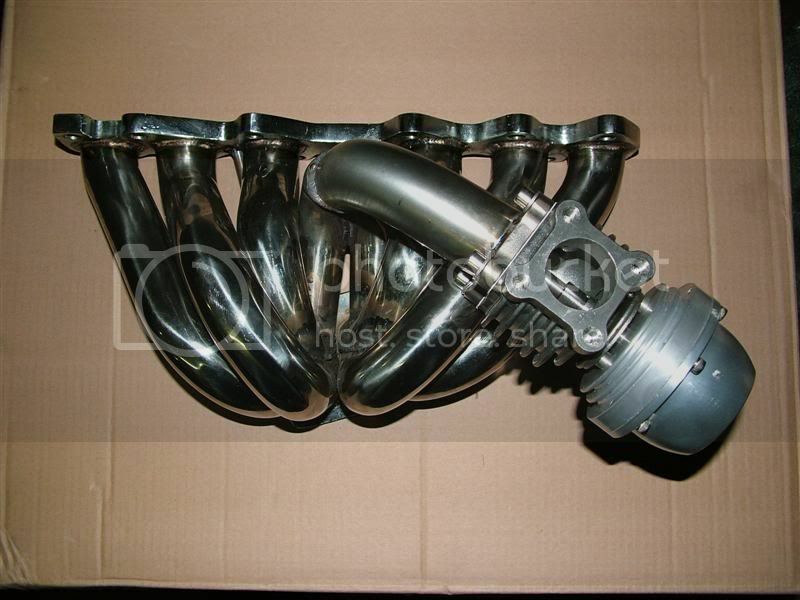 *Fittings for the wastegate will be included for 1/4" silicone hose. *4" intake pipe is included. 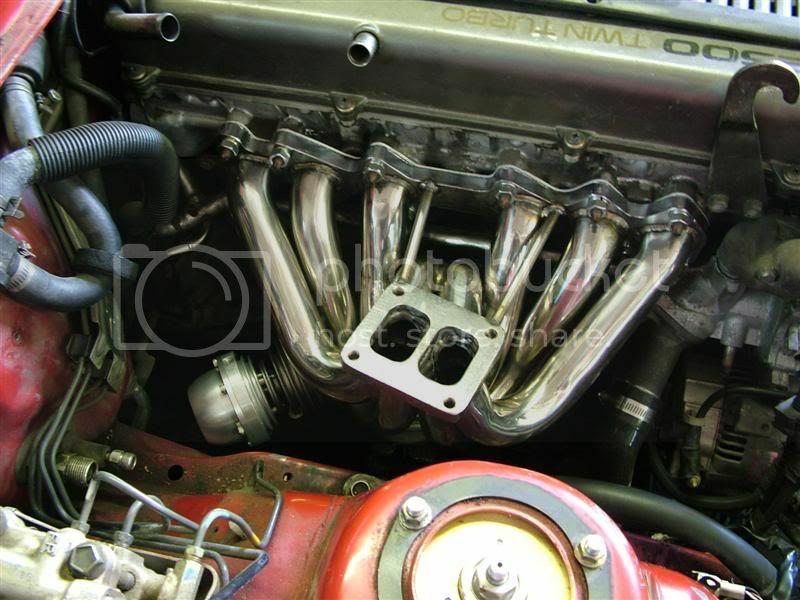 *Manifold has been modified to fit the wastegate and bracing has been added, all the welds are TIG and only stainless piping and stainless rod was used. *Downpipe flange was cut off and a standard 3" v-band flange was TIG welded on. 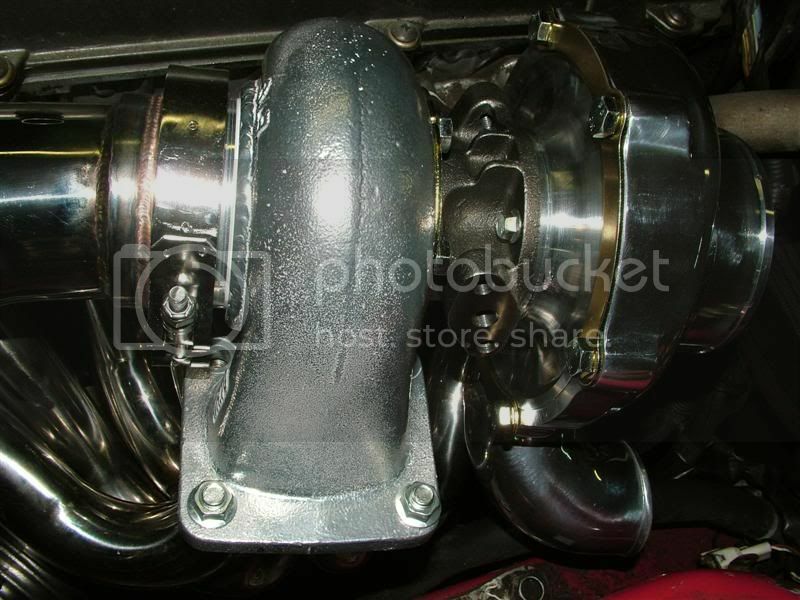 If you buy this same downpipe from someone else it will not fit your v-band clamp or turbo. Nice work guys. . That is gonna be a big seller if its not already. . . Cant beat that price man. . Good sized turbo etc. . wow!!! now this is direct bolt on for 1jz right? do you for see any clearence issues on a jzx90 mark II? and is this kit availabel now?